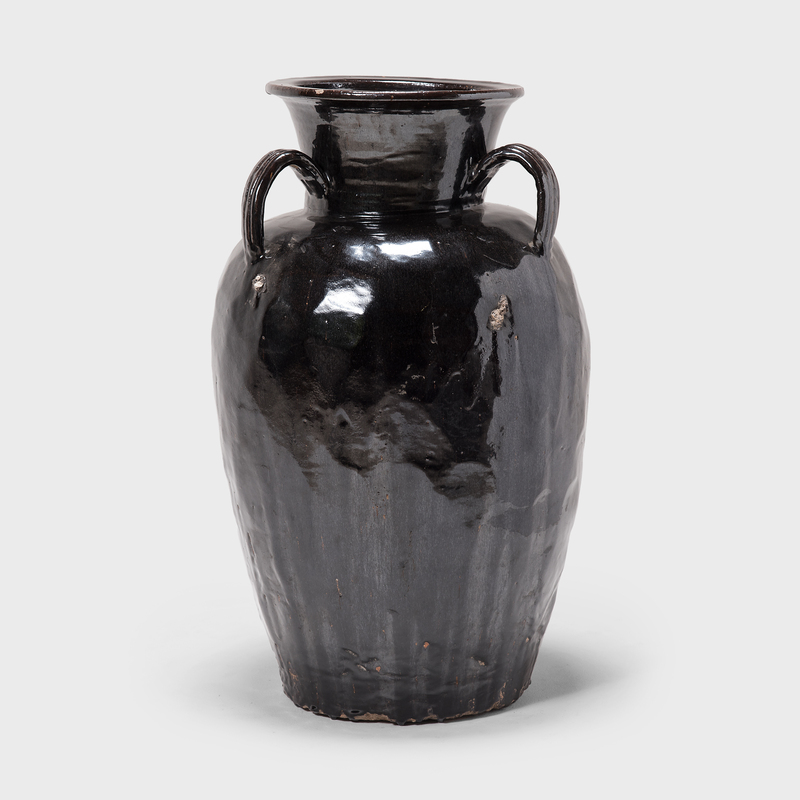 A dark, glossy glaze sheets, pools, and drips down the surface of this squat early 20th-century vessel, lingering beautifully on every imperfection. 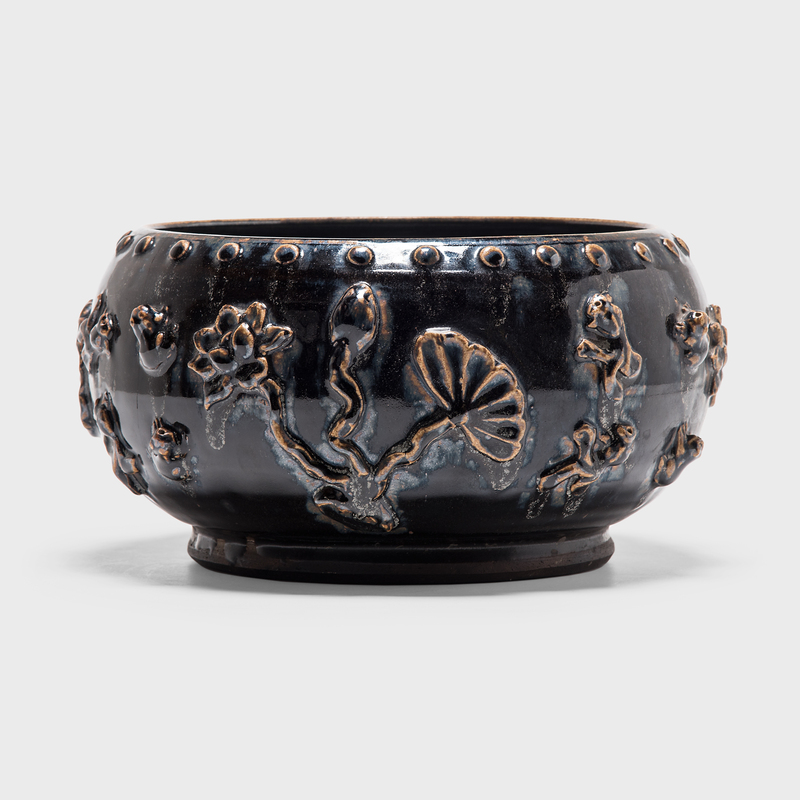 Sculpted in China's Shanxi province, the footed bowl is patterned with a band of nail head and appliqued koi, frogs, and lotus blossoms. 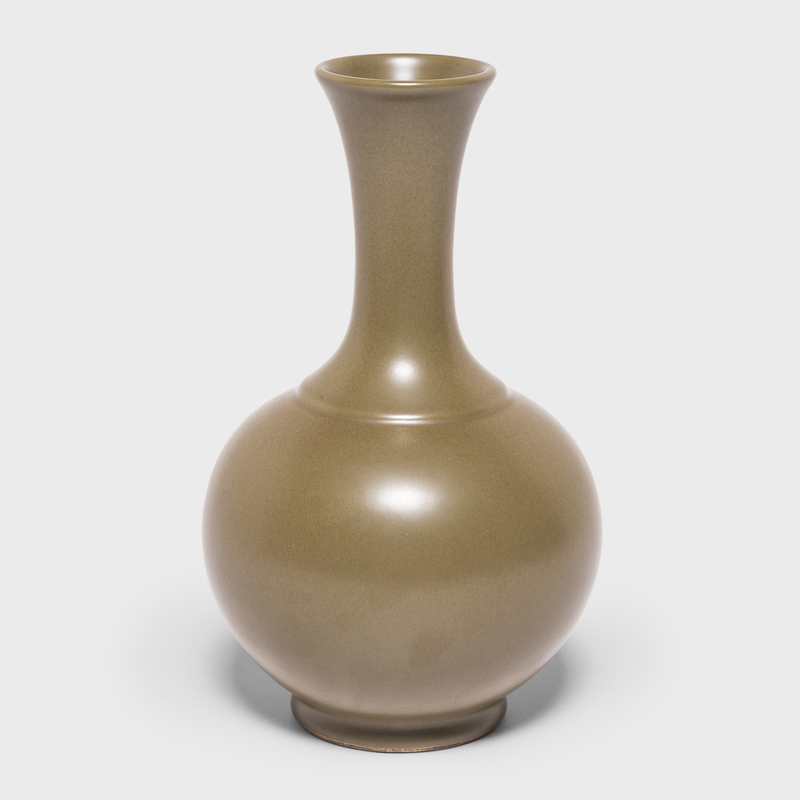 Emerging from the mud of riverbanks yet pristine and beautiful, the lotus plant is a symbol of purity and perfection, as well as an emblem of summer. 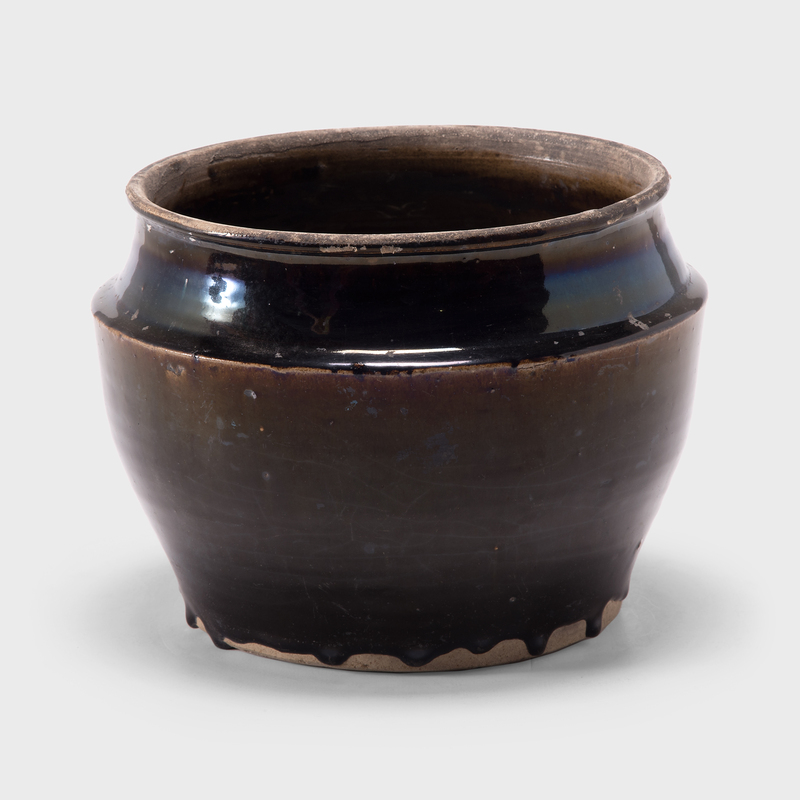 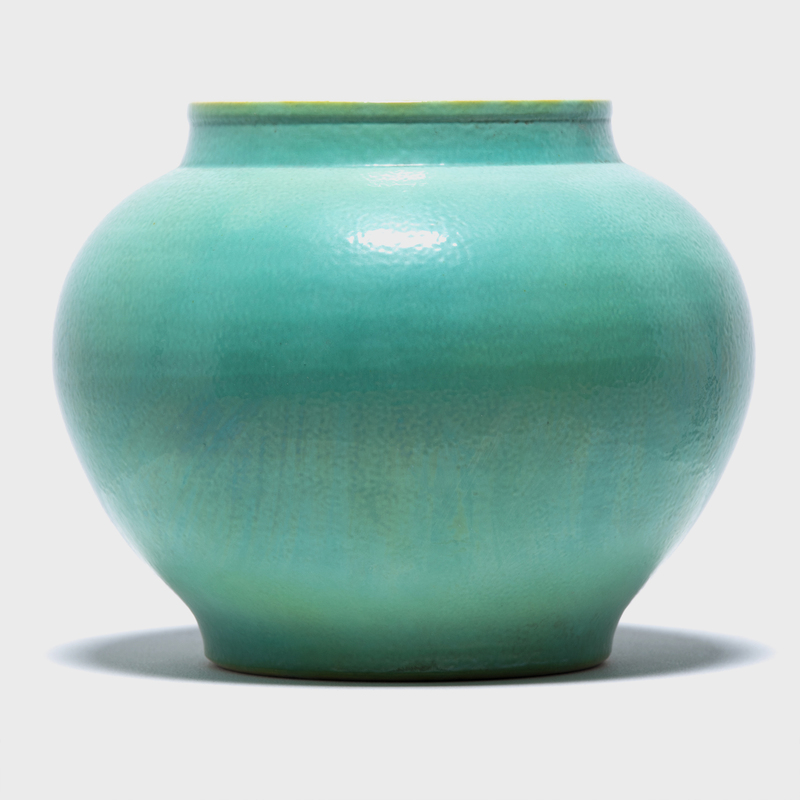 Glazed on the interior, this low bowl is perfect as a shallow planter, filled with lush greenery or colorful flower arrangements.